In paradise AND watching the Bulls?! Even Angels in Heaven are super envious of you and the Mrs. tonight. Thanks to all of the guys on this fabulous team, you represented this great university with class, never quitting and bringing home the trophy. Can't wait till next season !!!!! It is nice. I think our last coach to come close to this level of professionalism was Stan Heath. But what do I know. I don't even know why he got canned. Champs! Way to go, BULLS!!! I think Nick didn't want to go in when BG allowed the bench guys to sub in for the last whatever seconds. What a classy player and one of the happiest guys cheering on the team throughout! Nick, you rock! And I think I saw Lang not shake hands with Strus at the end. Could be wrong. But if he did, I'm glad. I just didn't like Strus --dirty player. Gotta give our coaches credit. I thought it would be really tough to win game 3. But they drew up a great game plan. What a team! GO BULLS! 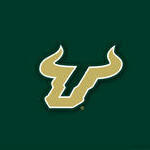 ---And, yes, we are talking about USF men's bball! Brown had a nice game. We needed him tonight. I think he's going to be important for us in the future -as a scorer.